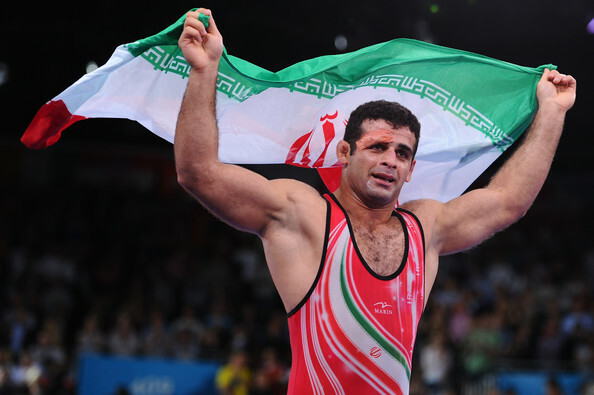 Banning Wrestling from the 2020 Olympic Games–A Slap in Iran’s Face. Competitive sports has long been political among nations, and Iranian athletes have become the most recent victims of the dirty politics of the Olympic Games. Last year alone, FIFA brought controversy among themselves when they announced that the Iranian women’s soccer team would be barred from playing against Jordan in the Olympic qualifiers because of their religious head covering–only moments before they were scheduled to play. FIFA stated that “players and officials shall not display political, religious, commercial or personal messages or slogans in any language or form on their playing or team kits.” However for Muslim women, especially the Iranian women aspiring to play in the 2012 Olympics, they have no choice but to wear the hijab. Many believed that FIFA, which is European-based, was sending a message to the Islamic Republic of the consequences of continuing to enrich uranium. Regardless, Iran’s soccer team would not be able to adapt to the new rules. They would have no choice. Not only is it mandatory in Iran for women to cover their head, but, as witnessed after the Reza Shah Pahlavi ban of headscarves in 1928 in Iran,not wearing the hijab in public is the equivalent of forcing European women to walk in public without a shirt. 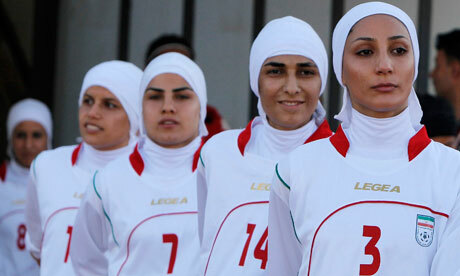 There was no way around the ban, and consequently the Iranian women’s team had no choice but to forfeit their dreams. It would not be the last time that the Olympic games would be politically manipulated to punish Iran. After finishing an impressive 17th on the medal list with 12 medals in last year’s Olympics, with record-breaking wins in Wrestling, the International Olympics Committee announced at the beginning of this week that wrestling will not be included in the 2020 games. The Islamic Republic won 6 medals in the Wrestling division thanks to athletes Hamid Soryan, Omid Noroozi, Sadegh Goudarzi, Komeil Ghasemi, Ghasem Gholamreza Rezaei and Ehsan Lashgari, who took home 4 Gold medals and 2 Bronzes. It was a triumph for the Iranian athletes, who may never again have that opportunity in the Olympic games thanks to the politics of the International Olympic Committee. The IOC claimed that it needs to cut a sport to accommodate the 2020 games, and wrestling apparently made the short list. It cited declining viewership, lack of popularity, and ticket sales as the main reasons for it being dropped. However, considering that virtually no European countries participate in the wrestling division, nonetheless wrestling has been all but invisible in the European sports realm (nonetheless that no one from the wrestling associations sits on the IOC), it makes sense why wrestling was not the most popular sport in the London Games, although it continues to be one of the oldest, and most popular sports in other parts of the world. The IOC hopes to make the Olympic games more “mainstream”, which it apparently considers modern pentathlon, which combines fencing, swimming, horse-riding, running and shooting as more “mainstream” than the ancient sport of wrestling. The Olympics are managed primarily by European states, with the most influence coming from states in the United Kingdom. The ban of wrestling has received similar backlash in the United States, where wrestling is a popular, American-macho sport. It was sports exactly like wrestling that kept Americans interested in the Olympics, which had lost popularity after the Games banned Baseball and Softball years ago. It’s not just Iran and the United States. The ban has faced backlash around the world, from Russia, to Uzbekistan, to Tajikistan to Georgia. “Stay out of wrestling!” Is a common slogan floating the internet from pro-Wrestlers. 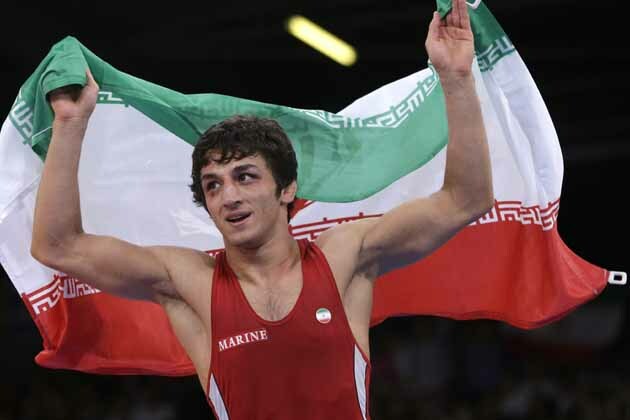 Iran will join other Wrestling teams around the world in the fight to overturn the ban. It may be the first time in history where Russians, Americans, and Iranians will be working together. If only their governments could do the same. Iran, and more importantly Iranians will be hurting from the ban on wrestling, whether or not that was the sole intention of the IOC. I myself am not a fan of wrestling, but I’m also definitely not a fan of politics in sports. Absolutely foremost because it’s not fair for the the athletes who train their whole lives for the single moment to compete in the Olympic games. As a former athlete myself, I hated having to fence in a club that hung up flags of countries who had a fencing team of all the different backgrounds of fencers represented in the club, except mine, Iran. Just like we separate Church from State, I wish we could separate politics from sports. We can start though, by not accepting the decision of the IOC to cut wrestling from the Summer 2020 games. I admit, as a former wrestler, I am biased – but this was an absolutely terrible move. There was no legitimate reason for banning wrestling, unless you count political or commercial motives, which run contrary to the spirit of the Olympics. As a side note though, it was refreshing to see countries like Iran, Russia, and the U.S. join in agreement against something.